Why Can't I See Our Website From Within Our Office Network? Home / Knowledge Base / Post-Launch / Why Can’t I See Our Website From Within Our Office Network? Why Can’t I See Our Website From Within Our Office Network? This happens from time to time and we do our best to help our clients get this issue fixed. Here is some information to help you resolve this. Go to a coffee shop or somewhere else (check for open wi-fi networks in your area). Go to an anonymous surfing website. What these do is fetch the website from their servers and then pass the page back to you – so it’s not your computer / browser going to the website you want to visit but theirs. One that I use that works pretty well is Anonymouse. If you can see the website from another network, then yes – the problem is probably your internal network. If your internal network is the same name as the domain name of your website, then your local DNS settings are overriding what the world sees. You should have some DNS settings (or maybe even a hosts file?) on the server that’s running your internal domain. When your internal network at your office is set up, you often have to name it and very often the name for it is the domain name of your company. When this is done, your office computer network thinks the website is at the old address. This, then, has to be changed by your IT staff. Try another network and see what happens – so try a mobile device that uses your cell phone network or run down to Starbucks or even hop on another wireless/wi-fi network that might be available in the area. (see more information about this below). Free E-Book! Seven Ways to Get More Traffic to Your Website – CLICK! There are other things that could also be a factor but these things should only be investigated if what we list above does not work. If you go to these possible fixes first, you may very well be on a wild goose chase (we warned you). Your Firewall – You could be blocking the IP of your website. For this to be happening, you would have had to manually done this some time in the past, which isn’t too likely. The Web Host’s Firewall – That firewall could be blocking your IP address. Find out your IP address so that you know what to have your web host look for. Again, this isn’t too likely but if you’re pulling out your hair, it might be worth checking. Your Computer’s Hosts File – This file could have a manual entry in it. Find out more here. Change Your DNS – Override your default DNS settings and try using Google’s DNS instead (which I find is faster and use it anyway). Your Web Browser – Try restarting your web browser. Try disabling plugins and toolbars, too. Your Computer – Try restarting your computer. Your Internal Server – Try restarting your server. Your Routers / Modem – Try restarting them or even resetting them. Your Computer’s Firewall – Try disabling your own firewall. You want to try these things one at a time so that you know what is making the difference so that you can just fix that one thing. Your browser may have the old website cached. You visit it often, so you need to clear your cache. You can do this in your browser settings or else try a force refresh (the shift key + the reload button). Another good idea is to just try restarting your web browser. Also, restarting your computer could take care of a bunch of issues that we’re discussing here – so that’s also worth a try. Since you visit your website often, your computer may think that your website is on your old hosting account still (if the new website is now hosted by us or else hosted somewhere different). The cure for this is just time – you have to wait for DNS updates to happen. You could try restarting your computer – that sometimes helps. You could view the website on another device or computer that hasn’t accessed it for a while. You could also go to another network (a good excuse to run to Starbucks) and try it there – and this is also a test that can be done for the next thing we’ll discuss… your internal network. Another option is to change your hosts file – but the only drawback here is that you might forget to change it back later and your website might move later on and you might forget that you’ve done this. We’ll try not to get too technical (at first)… when your internal network at your office is set up, you often have to name it and very often the name for it is the domain name of your company. When this is done, your office computer network thinks the website is at the old address. This, then, has to be changed by your IT staff. Try another network and see what happens – so try a mobile device that uses your cell phone network or run down to Starbucks or even hop on another wireless/wi-fi network that might be available in the area. And now the technical part (for your IT staff)… you have an internal DNS server running. In it, there are settings that say where the website is. These are the “A” record settings for the domain name. They need to be edited to point to the new IP address for the website so that your staff can see the new website on our servers now. Please contact us for the correct IP address to use. Make sure you change both “A” records if you have two – meaning, one for the domain name with the “www” (which is actually a sub-domain) and one for the domain name without the “www” in it. If you have a CNAME record for the “www” version of the domain name, then you only have to make one change instead of two (and this is the better way to have DNS set up). Once you make the changes, you may need to restart the DNS service for the changes to take effect. Make sure you do that. If you still cannot see the new website from your internal network, then let’s review what to do. First, please re-read this entire page and make sure you’ve tried everything here. Second, look for another DNS server on your network or find out which DNS servers everybody is using and make sure those are all updated. Third, see if you can flush DNS internally (or restart the entire server/servers that’s controlling DNS). Fourth, use your network tools. Do an “nslookup” or “dig” internally and see what’s going on. I’ve even seen networks where the company domain name was hard-coded into each computers “hosts” file (very sloppy but it works… sort of). 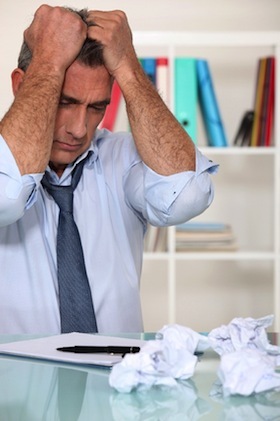 Talk to your IT Administrator and get some help. If that person is you, then get more people involved. Hire someone to help you troubleshoot it if you have to. If from outside your network the website can be seen fine, then we’ve done our part. If the problem is only internally, then that’s your issue. We want to help but we’re not on-site IT people and we do not know the intricate ins and outs of your private network. This article will probably help you take care of 95% of the possible issues. If it still does not work, then something else is wrong. Do some searches on Google to find out what’s wrong or else get some more help diagnosing problems on your internal network. Good luck! My New Website Launched, How Come I See the Old One Still? How is My Website Hosting Transferred to Webstix? Do I Need a Dedicated IP Address or Shared IP Address? Keep your website fresh. Get more traffic! Get your website noticed and get results. Result driven design makes your website work 24/7 for your business. 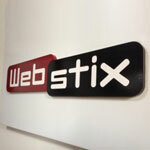 "Webstix has helped me start my business and get top rankings in search engines. They turn work around quickly and I would be happy to recommend them to anyone who wants to succeed on the web."